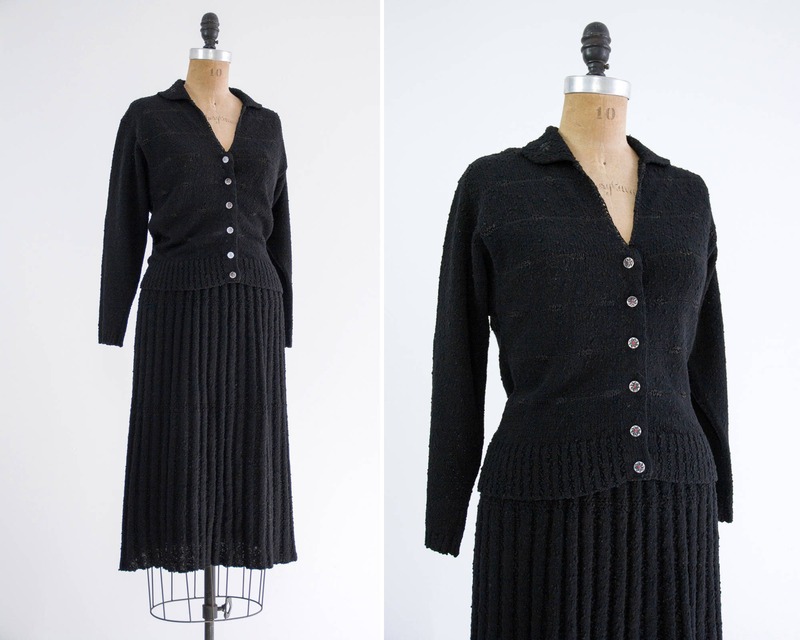 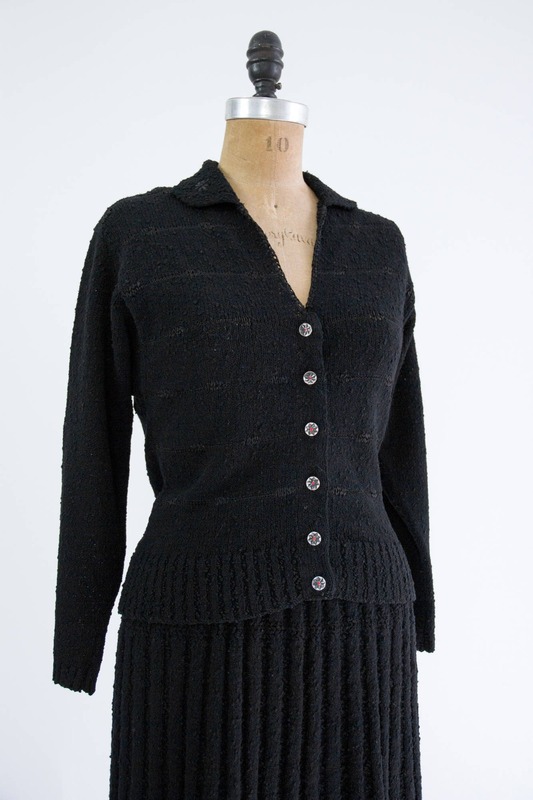 Vintage 1940s black dress set. 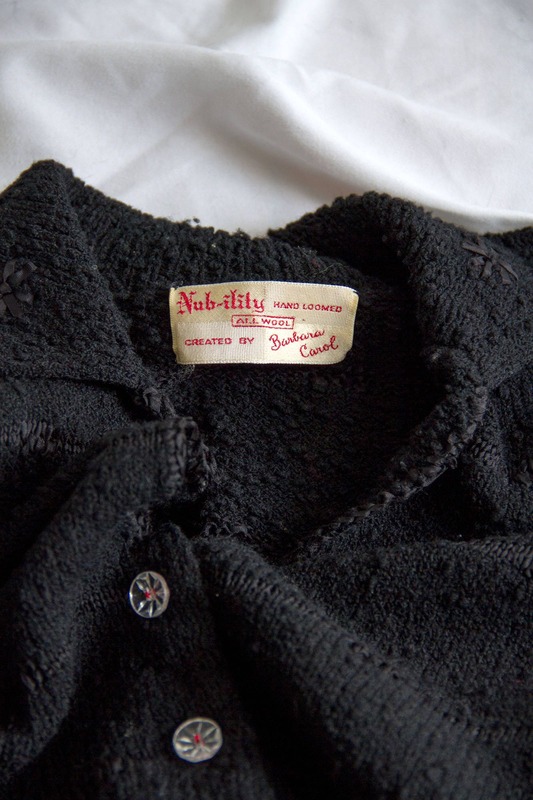 Made from knit wool with a dramatic nubby texture. 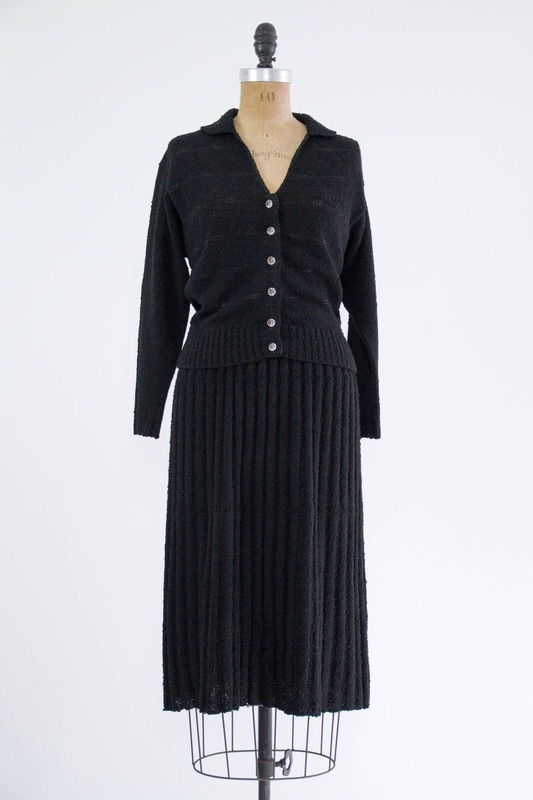 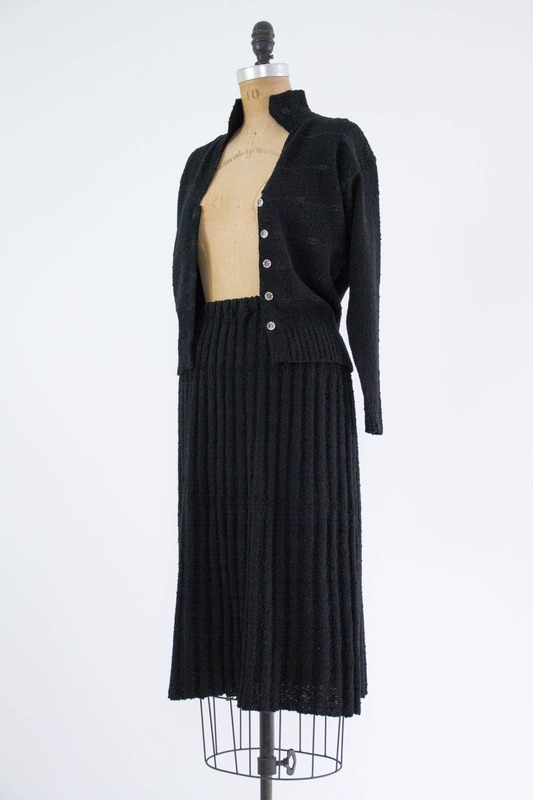 Cardigan has a low v neckline, cut glass buttons with red thread down the front, classic dolman sleeves, and subtle irregular stripes knit from ribbon throughout. 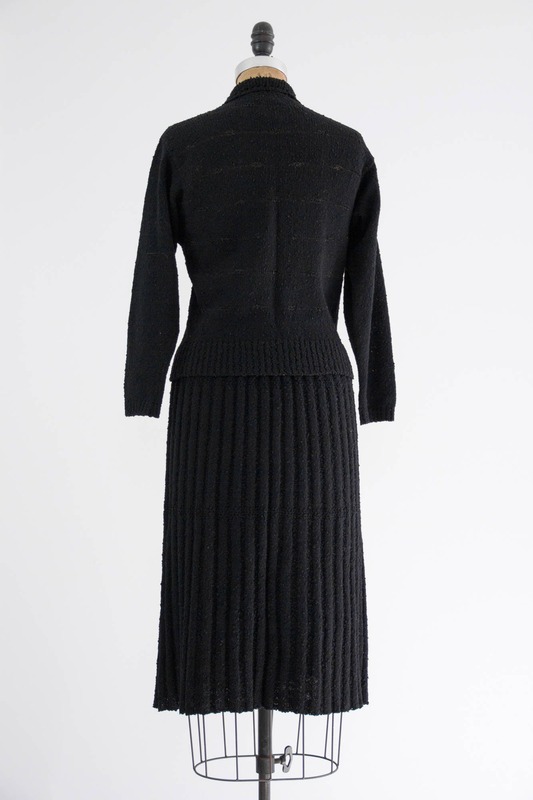 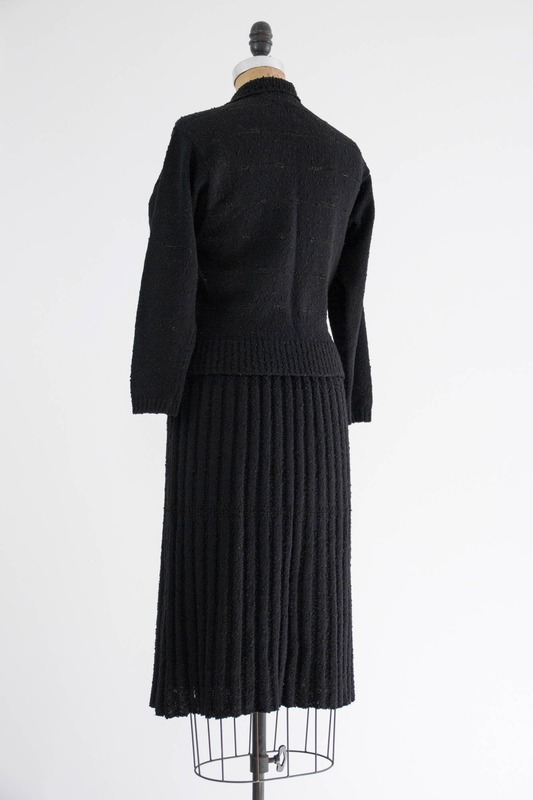 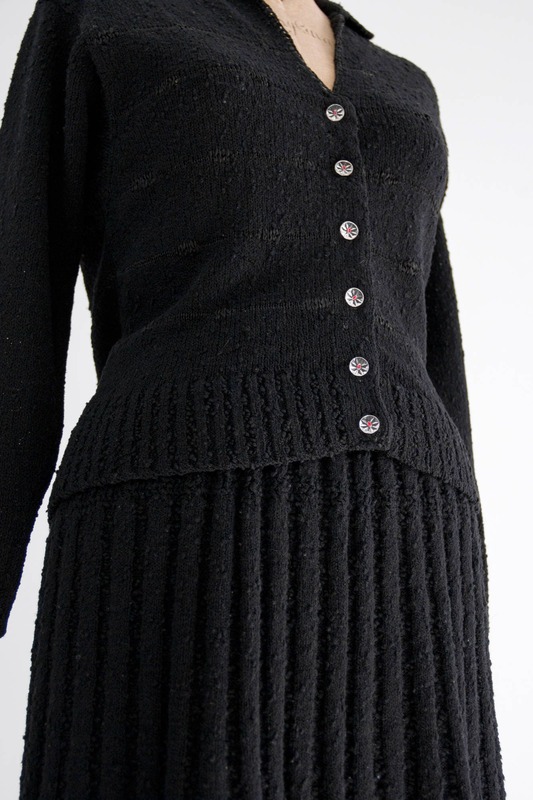 Matching rib knit skirt has an elastic waistband that provides lots of stretch. 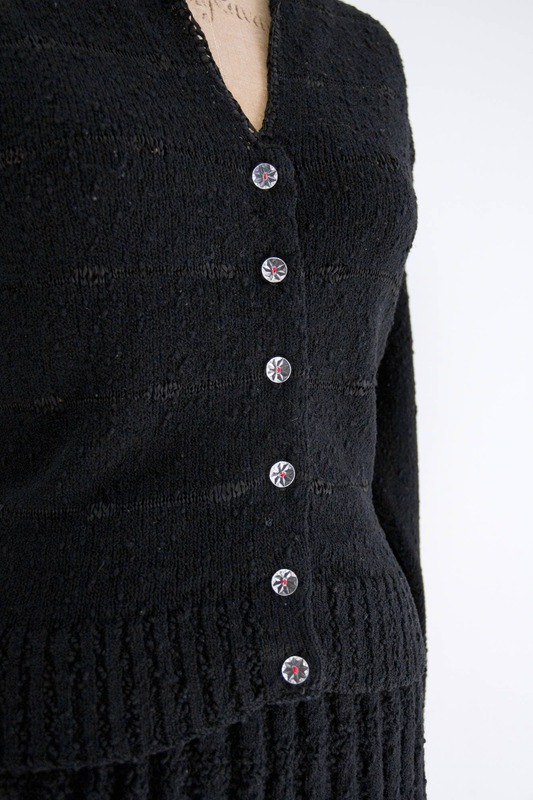 Fabric also provides stretch.